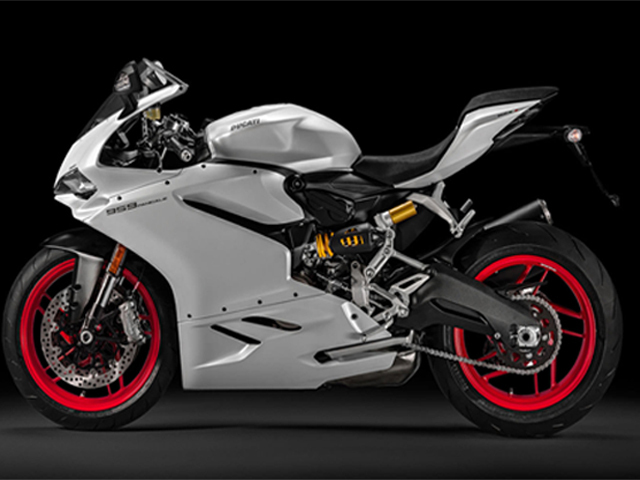 The iconic Italian superbike maker has launched one of its most successful superbikes 959 Panigale in India recently. The launch function took place in Ducati’s Delhi showroom and experience centre (It is the world’s largest Ducati store!). 959 is powered by a 955 cc liquid cooled 2 cylinder L type engine that puts out a massive power of 115.5 kW (157hp) @ 10,500 rpm and a handsome torque of 107.4 Nm @ 9000 rpm. This engine is mated to a 6 speed gearbox equipped with Ducati Quick Shift. An all-aluminium monocoque chassis underneath this huge machine bears all the loads that might act on this 200 kg kerb weighted monster.Fully adjustable telescopic suspension at the front and double armed swingarm at rear take care of the road undulations while offering excellent road holding. In addition, this bike is also accoutred with ABS and Traction Control.